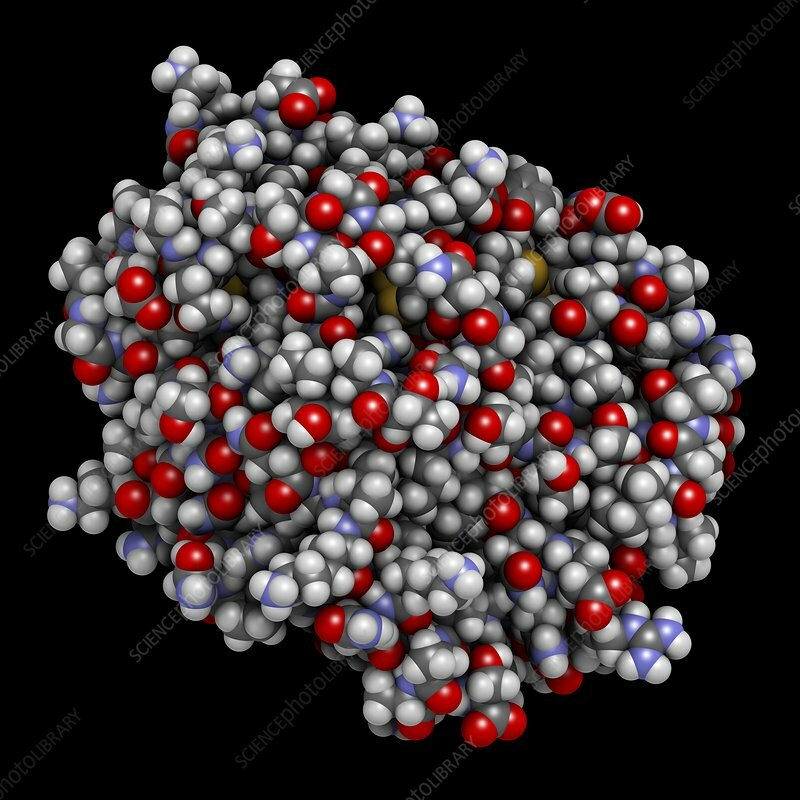 Trypsin digestive enzyme molecule (human). Enzyme that contributes to the digestion of proteins in the digestive system. Space-filling model with conventional colour coding.